I work with inspiring entrepreneurs and business leaders to build great companies. In particular, I work with early-stage startups on value creation and business model generation. One of our main goals is to make their companies very attractive to investors. In addition, I also connect the entrepreneurs to the right investors. I guide and assist them throughout the process of raising the money they need to build and grow their companies. Since practically all of my clients are early-stage startups, our first funding milestone is a pre-seed investment round. As a result, I’ve experienced a fair share of pre-seed rounds, including a few of my own startups. And almost always I’m faced with the same question: how much should we raise in our pre-seed round? The immediate response is: it depends. Of course, no one likes this answer. And yet, it does depend on several key factors that are specific to each case. These factors include: the value proposition (what’s the problem, what’s the solution), business model, product development plan, the founders’ financial situation, and more. While this may seem complicated, it need not be. So, I’ve developed a simple and short list of guiding questions that can help each company arrive at the amount that’s right for it. 1. What is your next key milestone? First, you need to clearly define what is the next key milestone for your startup. For early-stage startups, it can be a product development milestone, such as achieving proof of concept (PoC), or a working prototype. It can also be a customer development milestone, such as a pilot deployment, or validating your value proposition with X amount of users/customers. 2. Will this be enough for the next round’s investors to show interest? In either case, the goal is to reach a milestone that will be significant enough to attract investors. Early stage investors are typically private investors. They understand that there is considerable risk and uncertainty when they invest in early-stage startups. And yet, they would like to reduce that risk as much as possible. Hence, they are looking for evidence that validates your value proposition and business model assumptions. Therefore, the question you need to answer is whether or not your target milestone will accomplish the above goal. Please try to be as objective and realistic as you can. There is no point in BS-ing yourself. Because you can’t fool a smart investor, the kind of investor you want for your company. So, if you conclude that the next milestone will not be enough to get your target investors to show interest, define another milestone that will. If you are not sure what milestone or validation investors are looking for, simply ask them. There is no better way to get this important information. Also, this will give you another good reason to talk to them, and build your relationship with them. 3. How much money do you need to get there? Once you have decided on your next milestone you can develop a plan to get there. This needs to be a fairly detailed plan outlining all the tasks, resources, and expenses that will be required in order to execute your plan successfully, and on schedule. Using this plan, you can calculate how much money you will need in order to get to your next milestone. To be clear, this is a good estimate at best. In most early-stage startups there are many unknowns and uncertainties. So, as in most plans, things can (and likely will) change or go wrong. Therefore, you need to allow some additional money for contingencies. In other words, some extra amount for additional expenses that will be needed due to changes to the plan. Remember, this money needs to last you until your next investment round. You don’t want to get stuck without cash before you reach your next significant milestone. That will make it very hard to raise your next funding. Also, entrepreneurs are hopelessly optimistic. That’s part of their DNA. As a result, their plans tend to be optimistic as well. And yet, as we all know, most product development programs rarely meet their original schedule. That’s why I suggest adding some additional time to your plan. For example, for a 12-month plan, I would add three months. Based on all of the above, you can now come up with a realistic estimate of how much money you will need to reach your next milestone. And please don’t call it “our conservative budget”. Investors hate when entrepreneurs use this term. Because as we all know, entrepreneurs are anything but conservative. 4. How much money can you bring from home, family or friends? Some entrepreneurs have enough money of their own to invest in the early stages of their venture. This is often the case with so-called serial entrepreneurs. And yet, most of the founders I work with don’t fall into that category. They are either first-time founders or simply don’t have the money that’s required to fund their startups. But there are other sources of funding you can consider before you approach investors. These included family members and friends. Fondly referred to as FF&F: Family, Friends, and Fools. 5. Do you have any bootstrap funding options? Lastly, there are other ways to fund your venture, especially in its early stages. One alternative is bootstrapping. For example, in some cases, your first customers, or strategic partners can fund the development of your product. This is a great way to fund your company without having to give up any equity. In other cases, you can use a side job to pay for the development of your PoC or prototype. It’s important to note that this doesn’t apply to every startup. Furthermore, using a part-time job to fund yourself is only useful for the early stages of development. That’s when your funding needs are relatively small, i.e. $10k’s and not $M’s. Also noteworthy is the trade-off between funding and speed. For startups, time is always of the essence. Thus, speed and momentum are paramount. That’s the primary advantage of raising money from investors. So, founders need to always keep that in mind. If you don’t have enough money to execute your plan on schedule (or faster), you risk being late to market with your idea. That can kill your company. And finally, another common dilemma of entrepreneurs is what is the right valuation for this round? In my humble opinion, there is no one answer. Valuation is not an accurate science, despite what some people may tell you. It’s an outcome of a negotiated deal, based on many factors. Sure, there are formulas and spreadsheets that will enable you to come up with all sorts of numbers. And, you can probably argue why any number you reach is correct. Furthermore, pre-seed valuation is really not critical. Entrepreneurs often get hung up on this issue for all the wrong reasons. They look at what valuations other startups got in their rounds. They think it’s a measurement of their value and success. Valuation is not the goal of your company, it’s simply a means to raise money. A financial tool. And it should be viewed and used as such. The same goes for equity. If you worry too much about how much equity you have, compared to your co-founders or investors, you are on the wrong path. I always remind founders that 100% of nothing is still nothing, while 10% of $100M is a lot. Your goal is not to have the most equity. Your goal is to build a great company. And if the company will be successful so will you, and everyone else who was part of this success. And that should be your aim. To make everyone in the company, including your investors, work towards a common goal to make the company successful. Equity can be an effective tool for achieving that goal. So, with that in mind, I would like to offer a more simple approach to valuation. I suggest to start with a modest pre-money valuation. You should research your market to learn what similar early-stage startups are valued at. Next, think about the amount of equity you are willing to offer your investors. 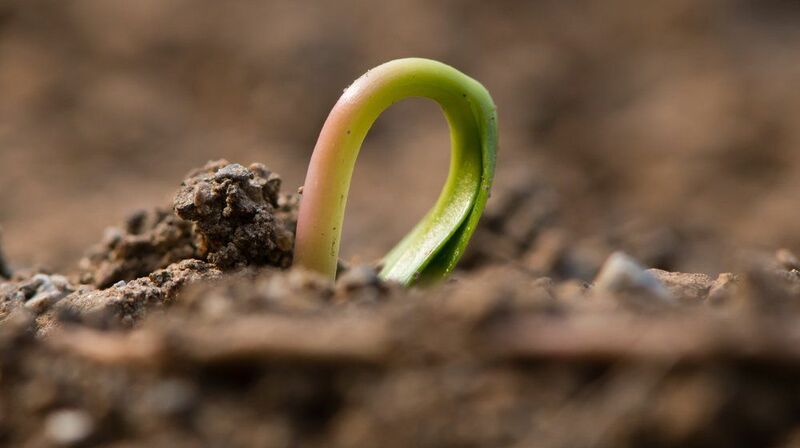 For a pre-seed round, investors typically expect anywhere 10%-25%. If you can get an investor to accept 10% it’s great. At the same time, 30% is not necessarily a deal breaker. The right investor is worth that. I know a very successful founder that raised a pre-seed amount of $100k for a 50% equity. Today his company is worth well over $1 billion. He doesn’t regret that decision one bit. You now have all the pieces required to put together your investment proposal: how much money you want to raise, how much equity you are willing to give, and a reasonable pre-money valuation. For example, if you need to raise $250k, and are willing to offer a 10% equity (post-money), your pre-money valuation should be $2,250k. In conclusion, it’s important to understand your funding needs and timing. How much you need to raise and when. But there is no need to overcomplicate the process. At the early stage of a startup, there are so many things that will change, and many unknowns. Therefore, the most important thing is to find the right investors for you and your company, and move forward as fast as you can.